ROSCOSMOS’ long term programme was set years ago. The ISS platform possibilities have expanded and we are expanding our research scope. 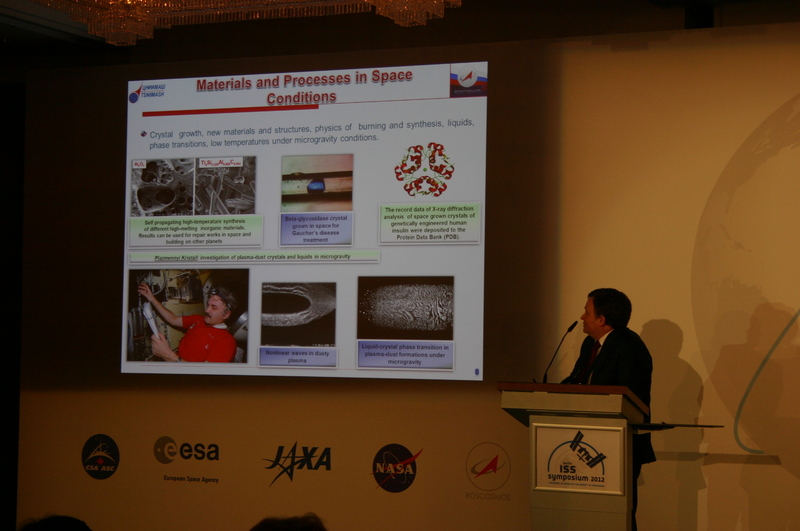 Examples of ROSCOSMOS research can be found in space medicine, biology, materials, geophysics, space engineering and technology. Almost half of the experiments set in our long-term programme have been completed. Space exploration happens in three stages: basic research, development of new space research and finally utilisation for practical benefits. ISS has reached the final stage. ISS has proven itself already. In basic research ISS is being used in radiation studies and vacuum studies amongst others. For further space exploration ISS is being used to develop and test new generation life support systems and robotic systems to assist astronaut’s operations. In the future we are looking at new inflatable modules or free flying spacecraft. The full importance of ISS can not be answered now, the future will tell how important it is. 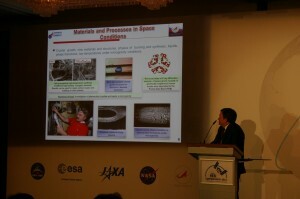 This symposium strengthens our opinion that the ISS will prove itself in future history. This entry was posted in Biomedicine, Downloads, Notes, Speakers, Station operations, Technology, Video and tagged ROSCOSMOS, utilisation. Bookmark the permalink.